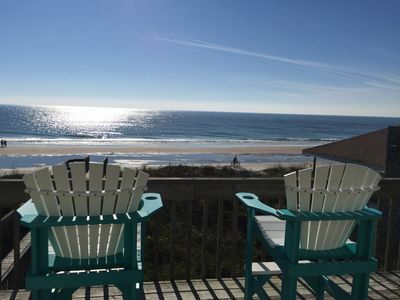 ** Linens- bring your own (no additional cost). 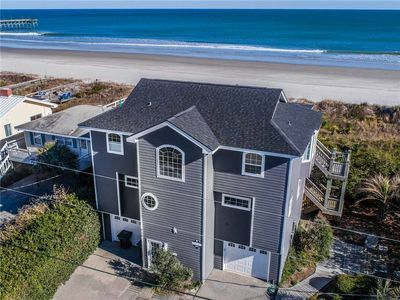 Come enjoy Topsail Island beaches and gorgeous ocean views from this beautifully decorated 2 bedroom, 2 bath oceanfront condo. 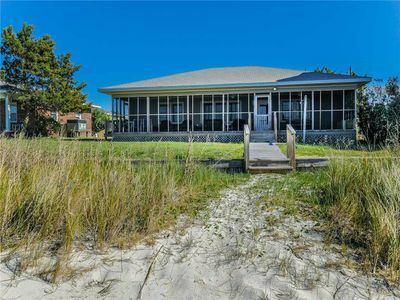 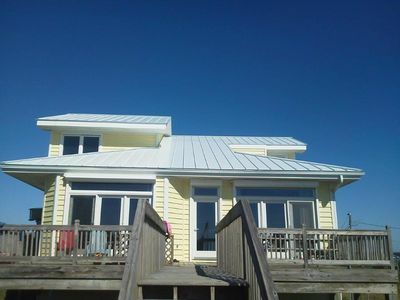 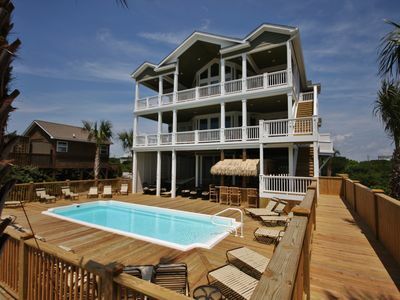 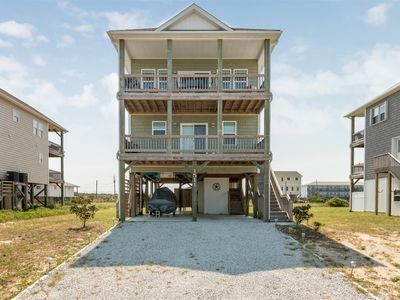 Take a well-deserved vacation in this coastal refuge from the hustle and bustle of your everyday life! 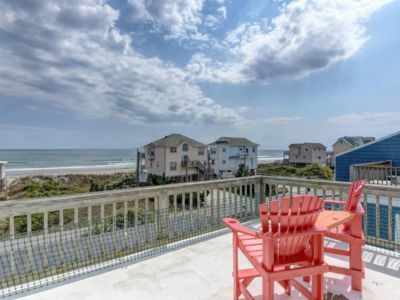 Step out onto your private balcony and enjoy breathtaking views of all the enchanting sights to be seen on North Topsail Beach. 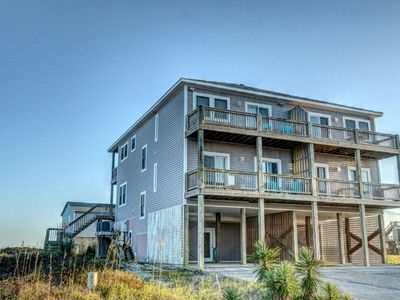 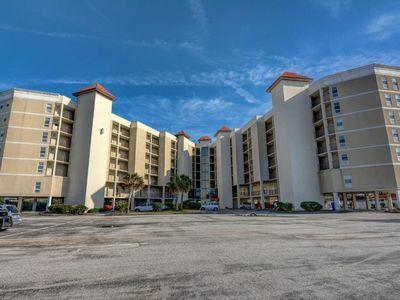 Make this condo your home-away-from-home, get away from everyday worries and slow down for a while on island time. 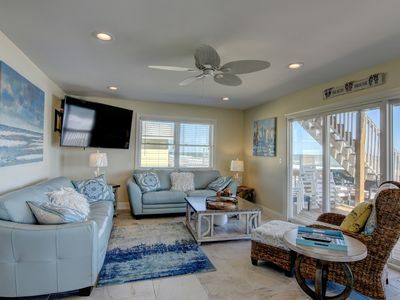 This immaculate oceanfront unit is newly renovated with beautiful tile floors, tasteful furnishings, a fully equipped kitchen, wet bar, TV/DVD player, Wi-Fi, and everything you need to make this the perfect getaway for you and your guests. 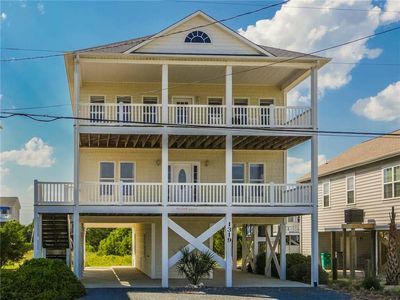 Accommodations include two twin beds and one queen bed, each room with private access to the oceanfront deck and private bath. 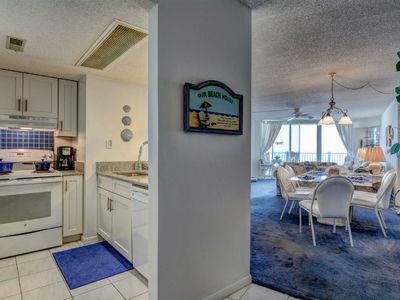 The living room has ample seating for all of your guests to relax and partake in the picturesque views through the floor to ceiling windows, and a dining area which seats four. 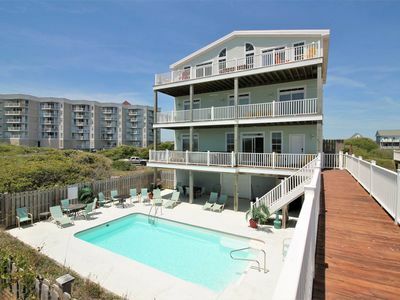 Bask in the sunlight, listen to the surf, and enjoy the off shore breeze on your oceanfront deck. 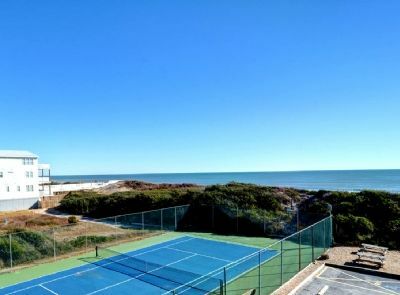 Amenities of the St. Regis resort include an oceanside outdoor pool, sauna, fitness center, outdoor grilling area, tennis courts, onsite bar and grill, and much more! 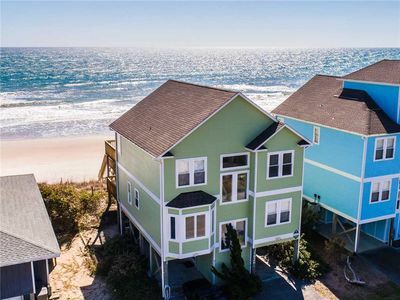 Walk over the exclusive community beach access and stroll the miles of secluded beaches and glistening blue ocean waters. 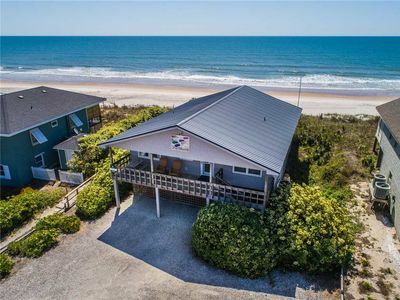 The beach is calling, don’t settle for anything less than everything you need to relax and make special memories with your guests on beautiful Topsail Island. 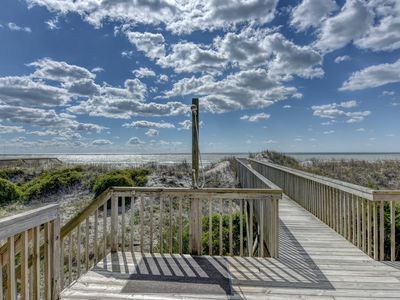 Answer to Prayer- Beachfront - Beautiful. 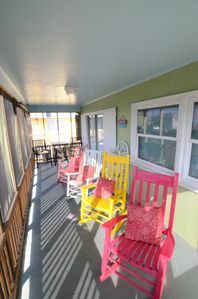 WIFI, Beach supplies, Pets friendly. 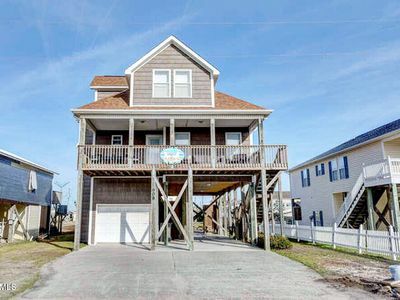 The Most Beautiful House on the Beach! 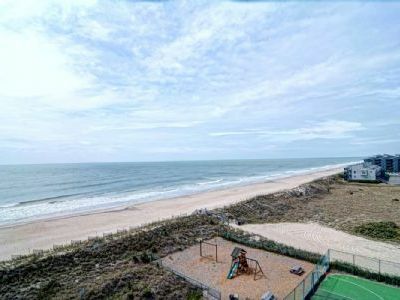 Oceanfront Topsail Beach. 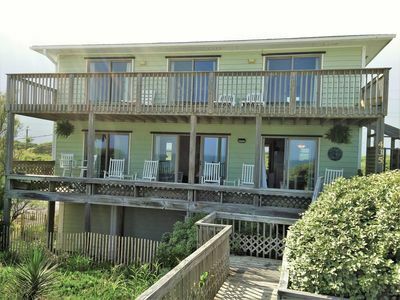 Incredible Views From Every Room!